These are pieces we have picked up that I have ideas for, but can still be claimed for a custom finish. See something you like? Just contact us at brightworkmaine@gmail.com and we’ll start the process to finish it just for you! I always create inspiration boards with photos of similar pieces, paint and stain swatches and hardware to finalize the plan before we begin. It’s a fun process – check back often… we are always acquiring! Jacobean Server: Beautiful 1920’s Antique! This could go in MANY directions – light, dark, combo of stain, gold hardware, glass knobs… endless possibilities. Classic Hutch: This piece will bring such style and function to your home redone in a color with some woodgrain to highlight the details. It is a very high quality piece and includes lighting. Antique Dry Sink: This very historic piece needs some restoration and some detailing, but would be lovely as a sideboard in a kitchen or dining room. It has storage below and a small drawer, along with the opening top. We could even make this into a bathroom vanity plumbed with a copper or glass bowl sink. 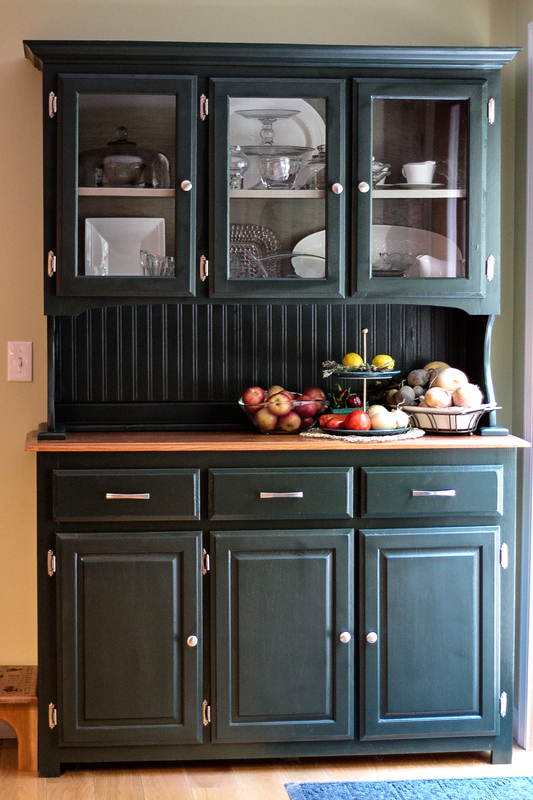 Large Hutch: lots of storage! Will be completely transformed with paint, stain, beadboard and new hardware! Tiger Maple Veneer Bureau: Great size with deep drawers and has a lovely 3-part mirror! Large Chest of Drawers: This is a very old antique solid piece with TONS of character. Needs repair work to the top – but check out the feet!